Circle of Security has established a parenting reflection program offering core components of the evidence based and internationally acclaimed COS protocol. This 4-day seminar trains professionals to use an eight chapter DVD to reflect with parents and caregivers on examples of secure and problematic parent/child interaction and healthy options in care giving. Further details and how to register click on the link below. Hosted by our colleaugues at Young Ballymun, Dublin. 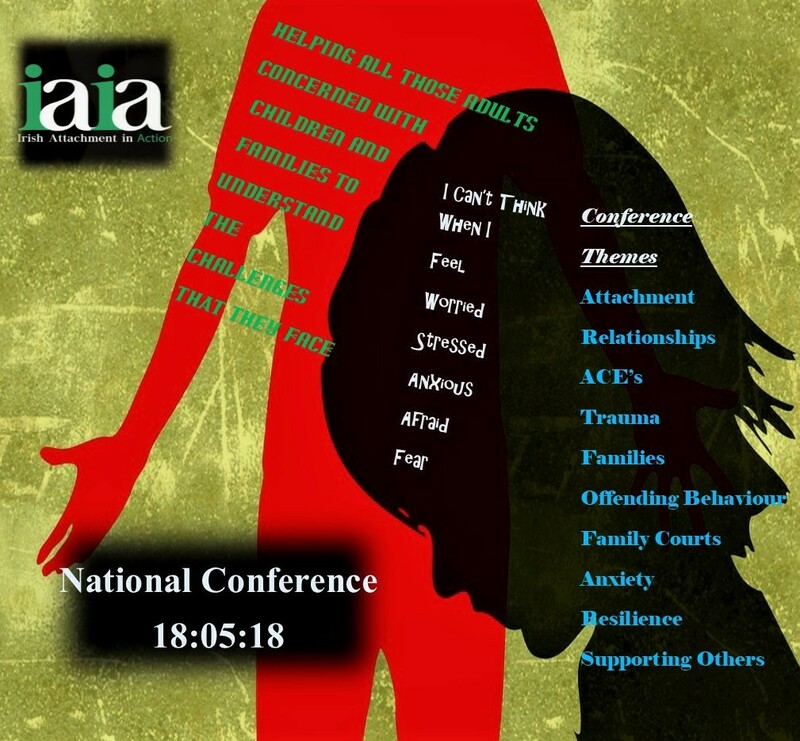 28 Mar IAIA National Conference 18:05:18, Strule Arts Centre, Omagh, County Tyrone. IAIA is a professional interest and awareness raising group committed to promoting a greater awareness and understanding of attachment theory in Ireland. ©Copyright 2017 - Irish Attachment In Action.